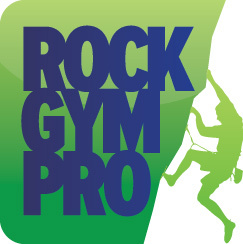 As a Rock Gym Pro user, you have the option to create a FREE Smartwaiver account which can seamlessly integrate signed, digital smart waivers with your RGP account. This Smartwaiver integration is available to RGP users on the PLUS or PREMIUM paid plans. Smartwaiver (a sister company of Rock Gym Pro) is the leading digital waiver solution that converts your existing waiver into a digital, smart waiver. The company was founded in early 2012 as a stand alone product after RGP received an overwhelmingly positive response to the release of its own waiver system. Today, Smartwaiver processes over one million digital documents each month for thousands of customers in various industries around the world. What are the advantages of using Smartwaiver with RGP? Use of Smartwaiver’s digital waiver system is optional. If you have a PLUS or PREMIUM RGP account, your Smartwaiver account is FREE. If you’re using RGP’s current Document Management System you can continue to use as you have been. You can also use both systems concurrently (more on that below). Because of Smartwaiver’s streamlined waiver layout, your customers will complete their waivers in half the time! Smartwaiver comes with a dedicated Kiosk app that displays only the waiver on your iOS or Android device. When you use the Smartwaiver Kiosk app, you have the option to use Auto Photo Capture, Smartwaiver’s patent pending technology that automatically takes photos of the participant signing your smart waiver.